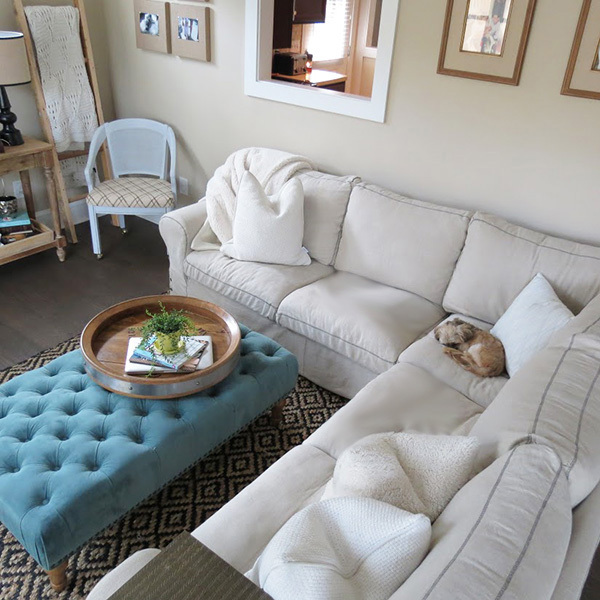 Today we’re touring the lovely home of Savannah Patrone of The Perfect Mess blog. Thanks for inviting us in, Savannah! I’ll let Savannah show us around her light and airy home. Enjoy and have a fantastic weekend! Hi everyone, I’m Savannah from The Perfected Mess blog! I’m a hairstylist gone MIA and on a mission to spruce up my neglected home with intention. When I’m not focusing on my home, I’m busy being a wife, a mommy to the sweetest little girl and 2 fury little pups. I’ve got a lot on my plate and it’s never perfect, so I just choose to perfect the mess that is and move on with my day! My decorating style is very mixed, I think. I throw in a lot of transitional items that can be used in an array of settings. My bedroom has a slight modern feel while my living room might seem farmhouse-ish with a smidgen of subtle modern touches. I love anything gold and my go to color scheme tends to lean towards tan and white. My favorite spot in my home as of right now, has to be my bedroom. I wanted my bedroom to express a sense of style my husband could relate to as well, so I choose a gray Pottery Barn duvet, a variety of shams and navy blue velvet curtains. I love my bedroom because of all the light. We have a beautiful window above our bed that we choose not to cover. I would choose that wake up call over an alarm clock any day! My adventures with painting furniture are hilarious! I’m a rookie at best and I always aim for the short cut, which any pro furniture painter would tell you, “slow and steady wins the race”. My favorite form of sprucing up furniture is staining; I’m a lover of dark stains. I have many favorite pieces I’ve worked on and sold, but this retro chair I found for $5 and sold for $70, was by far my favorite. The vinyl was in perfect condition and only needed to be wiped down and cleaned. This question is actually a running joke in my home because, my husband once asked me the same thing and I gave him the run down of what my perfect day entailed and after I told him, he looked very puzzled. I asked what was wrong and he says “I noticed neither I nor Izzy (our daughter) were included in your perfect day”. I felt so horrible, but they know I love them deeply. Since then, I’ve had time really rethink what my perfect day entails. My perfect day includes having a cup of coffee with my husband on a porch overlooking the ocean while my daughter naps. Then playing on the beach all day, picking-nicking around lunch time, watching the sun set and snuggling up for a movie, just the three of us! That is my perfect day. 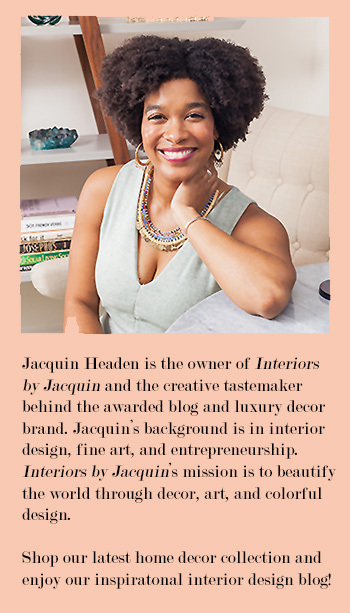 A big thank you to Jacquin for featuring my growing in character, humble, little adobe on her beautiful blog!